Written nearly two centuries ago, Georg Büchner’s Woyzeck has been described as one of the most influential plays ever written. 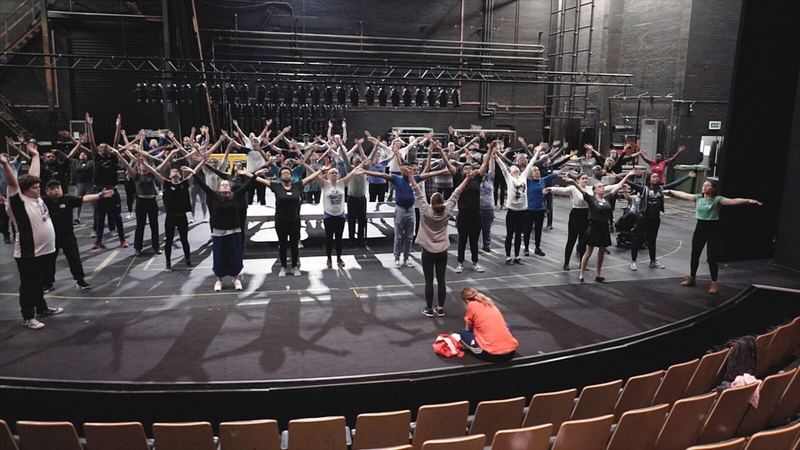 In an exciting collaboration between Birmingham Repertory Theatre and Birmingham International Dance Festival 2018, 100 local performers will breathe new life into Woyzeck, one of the most influential plays ever written, from 15 to 23 June. Written nearly two centuries ago, Georg Büchner’s Woyzeck has been described as one of the most influential plays ever written. In this new large-scale theatre and dance staging directors Roxana Silbert and Rosie Kay, and writer Leo Butler, create for our time what Büchner intended for his – the story of a struggle for a better life. Set in the present day, Woyzeck is the story of a young soldier who just can’t get a break. He’s stuck living in military barracks. He’s forced to shave his condescending commanding officer everyday. His wages are pitiful. His girlfriend might be having an affair. And now he is hearing voices. Maybe he is starting to crack? Or maybe it’s just because his doctor is trialling a pea-only diet on him? It’s far from ideal but his doctor’s poking and prodding comes with the reward of some extra money. It’s the chance for a better life if Woyzeck can just hold on that little bit longer. “Woyzeck is a powerful story that has been sharply brought up-to-date in Leo Butler’s new version. It’s about the impact of war on communities, the pressure on a young person who’s trying to make ends meet and ultimately about how love can be devastatingly destroyed. “Woyzeck still feels shocking over 180 years after it was written. It’s got a prophetic nature to it and what’s really exciting is it feels like it reflects the society we live in. Woyzeck’s community company are made up of performers from across the West Midlands, many of whom will never have performed on stage before. Cast members come from all walks of life and are aged from teenagers to their seventies. Appearing alongside the community cast as Woyzeck and Maria are professional actors, Thomas Pickles and Jalleh Alizadeh. Woyzeck is part of REP Furnace, a three year programme to create ambitious new works both on stage and in local communities. Last year’s Stadium united football fans from the city’s three football clubs on the main stage at The REP, and the previous year saw thousands of volunteer performers across the UK take part in the modern day memorial,We’re here because we’re here, produced in association with the National Theatre to commemorate the centenary of the Battle of the Somme. Woyzeck is designed by Neil Murray, with lighting by the Olivier Award-nominated Lee Curran and music composed by Tom Rackham. Birmingham International Dance Festival (BIDF), produced by Birmingham-based DanceXchange, returns to the city from 1 – 24 June 2018. Expect fantastic dance in the city’s theatres and a takeover of Birmingham’s streets and squares, with show-stopping free performances and opportunities to get dancing, visit www.bidf.co.uk for the full programme.